As usual, absolutely delighted with the blouse. 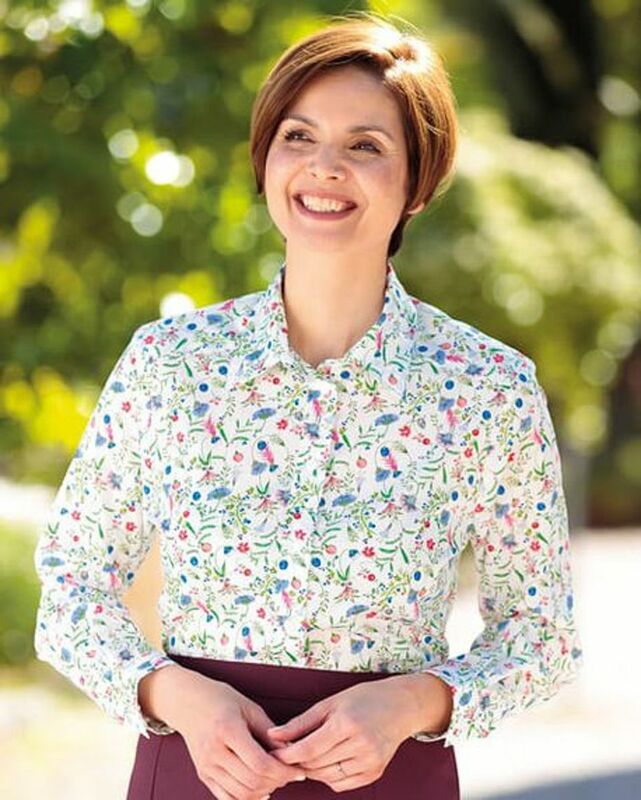 Have bought many blouses on the website, nobody else has the same quality of pretty, tailored classic blouses that are available here, particularly for the older woman! "As usual, absolutely delighted with the blouse. Have bought many blous ..."
Ladies pretty floral print blouse in Liberty Tana lawn. Vibrant shades of cobalt, cornflower, red spice, pink and green on a white base. Classic long sleeved style with a two-piece collar, back yoke and gently rounded hem. A versatile blouse which will elegance and style to any outfit.